VT Farm - next quality template submitted by developers Vtem, which can support all current versions of CMS Joomla. 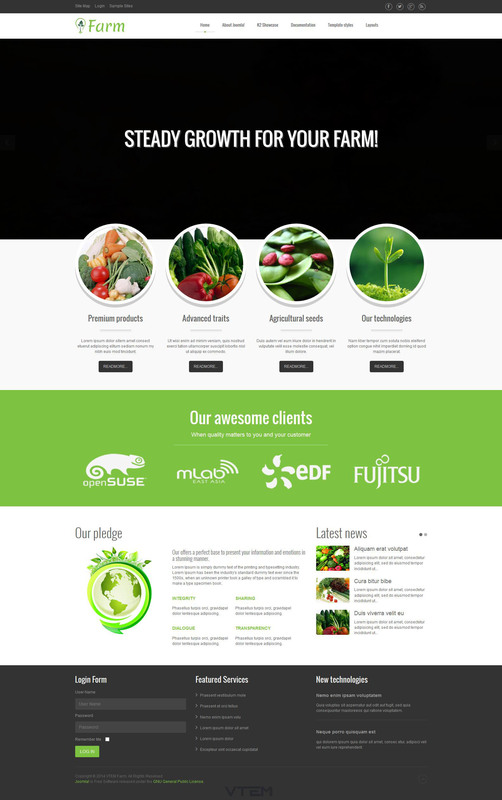 Simple design website template is made ​​in bright colors. In addition, there are four color schemes that can be easily changed by the internal template manager. The template is fully supported by all the tablets and mobile devices through adaptive functions. The templates provide a large web pages load speed, support for multiple browsers and additional permits, optimized code files. The kit assembly included manager K2 content management to optimize the site materials. VT Farm can be used for creating websites on various subjects.